Nerf’s new “Sharpfire” blaster (and the Slingstrike) seen in the wild in Singapore. Crazy! 2015 is…. Somewhere. 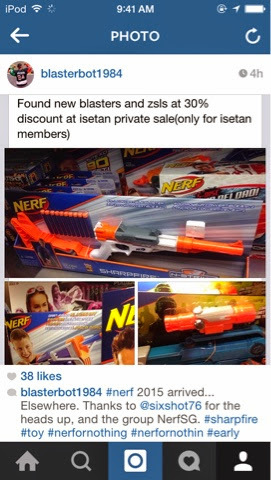 Thanks to the Blaster Shogun and the folks at NerfSG for the info!